Uncompromising quality, tested and documented purity, and unmistakable aromatic excellence—this is how Melaleuca does essential oils. Much more than just a brand name, PURETM defines the quality of our essential oils and tells you exactly what you can expect. 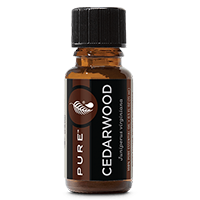 All of our oils are grown in their native habitats using sustainable and ethical practices. Each oil is extracted using the method proven to be most effective for each plant source. All PURE Essential Oils are extracted from plants harvested exclusively for essential oils. 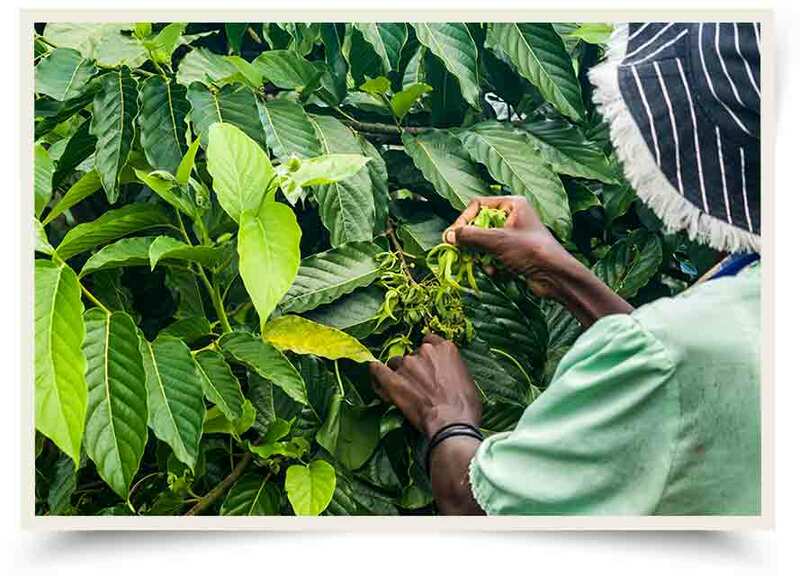 Plants are processed fresh and close to the farm (with the exception of resins, seeds, and wild harvests). Some are distilled as fast as 30 minutes after cutting. 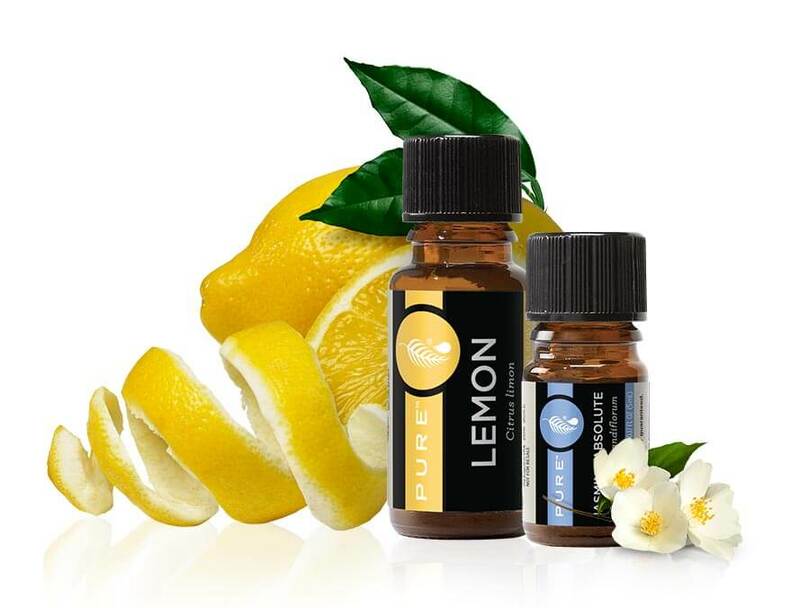 A few companies decided to make up this term to help sell their essential oils. Some other companies latched on to the term and started saying their oils were “therapeutic grade” too. 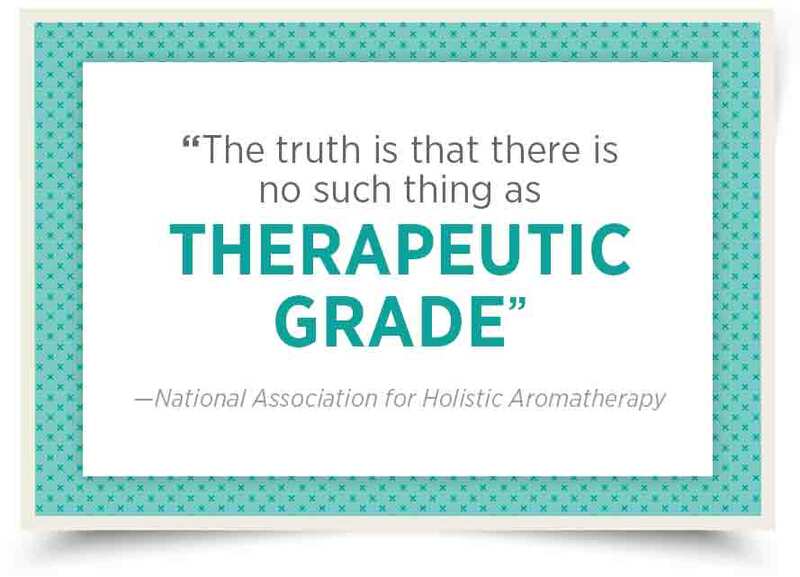 But “therapeutic grade” is a fabricated term created by marketing to make their oils sound better. 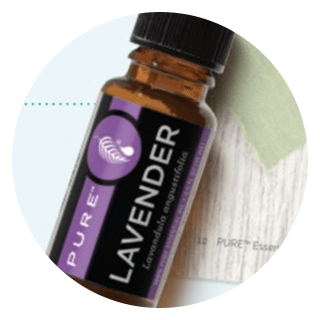 There is currently no governing body that certifies the production and quality of essential oils or a standard system for grading them, and we believe it is deceitful to use language that would imply that there is. Each PURE Essential Oil is pure oil extracted directly from the botanical plant source and is guaranteed not to contain any synthetics, fillers, or impurities. 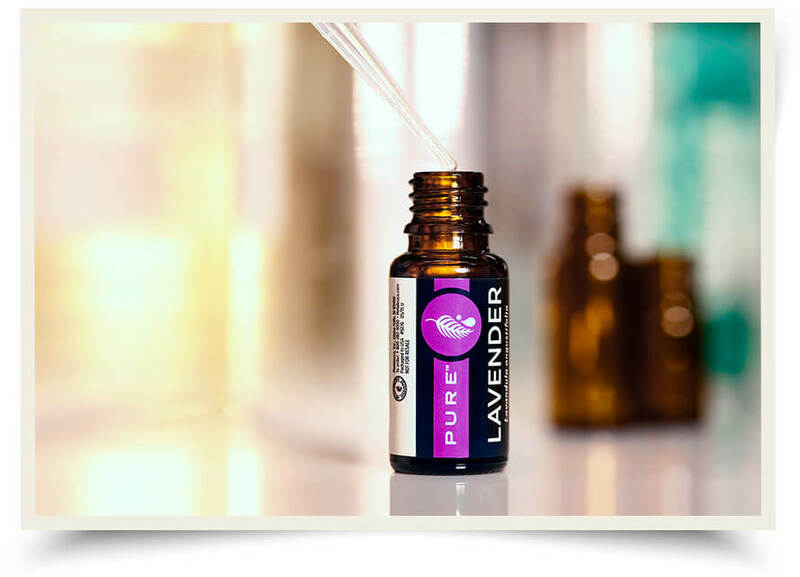 Rather than invent our own standards, PURE Essential Oils are put through a battery of established tests to ensure they meet stringent quality specifications. 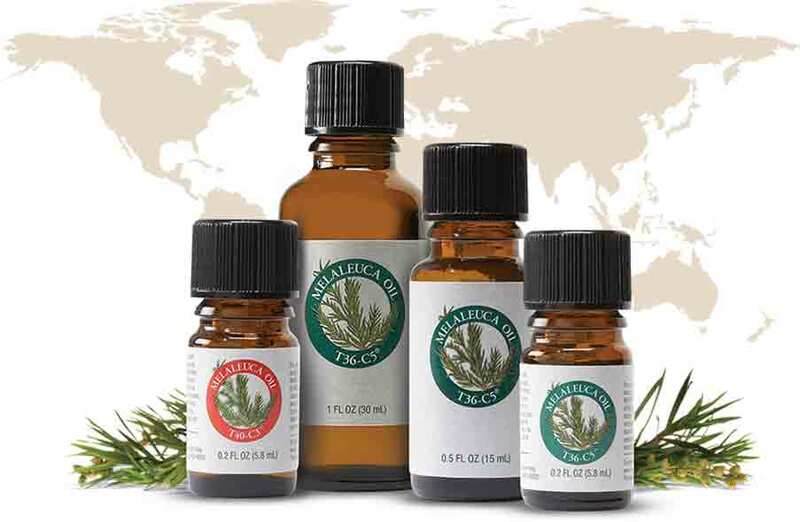 Since 1985, customers have come to Melaleuca for more natural solutions that are backed by the latest scientific data and rigorous testing. Melaleuca has established a reputation of purity and quality over the last 30+ years, and we take our responsibility to guard and protect our customers very seriously. 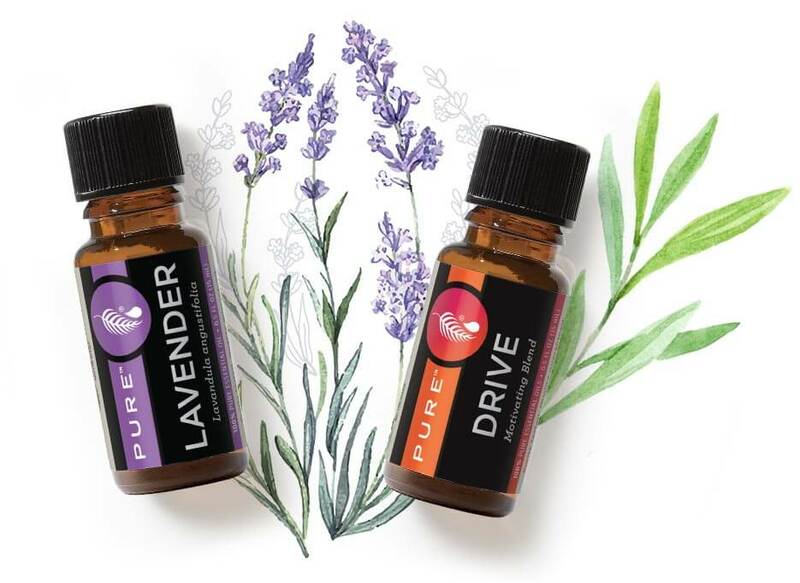 While it is true that essential oils are natural, it’s important to realize that caution still needs to be exercised when using them. Natural does not always mean safe. 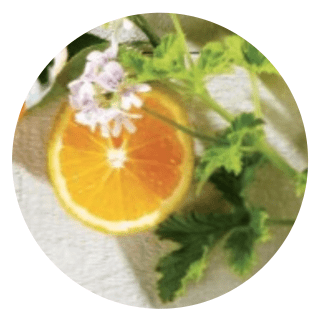 Other manufacturers would like you to believe that “natural” equals “safe,” but anyone who has ever had a brush with poison ivy, poison oak, or a bumblebee can tell you that isn’t always true. PURETM Essential Oils not only set the standard of excellence for essential oils, they also set the standard for value. At Melaleuca, you can buy the absolute highest quality essential oils at an unbeatable value. 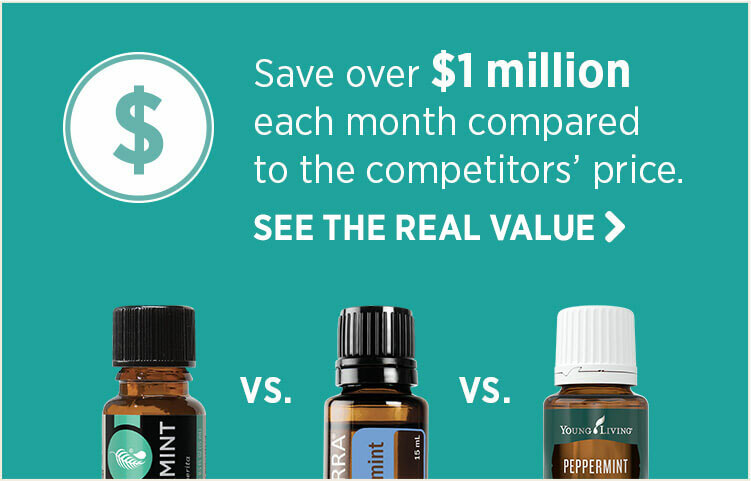 PURE Essential Oils save Melaleuca customers like you over $1 million every month compared to the competitor’s price. That’s real value. PURE Essential Oils are a culmination of Melaleuca expertise. PURE represents exactly what Melaleuca does best—offering the highest-quality product at an exceptional value. 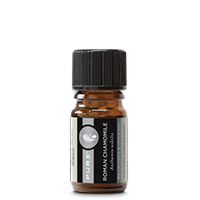 Essential oil information is just a click away. 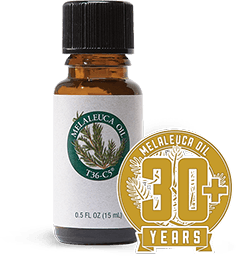 In 1985, Melaleuca opened its doors with eight products all enhanced by the beneficial properties of pure Melaleuca Oil. Over the last three decades, we’ve pioneered and perfected harvesting and distillation methods. We set global standards for quality and efficacy. It’s our goal to establish Melaleuca as the trusted source for essential oils. 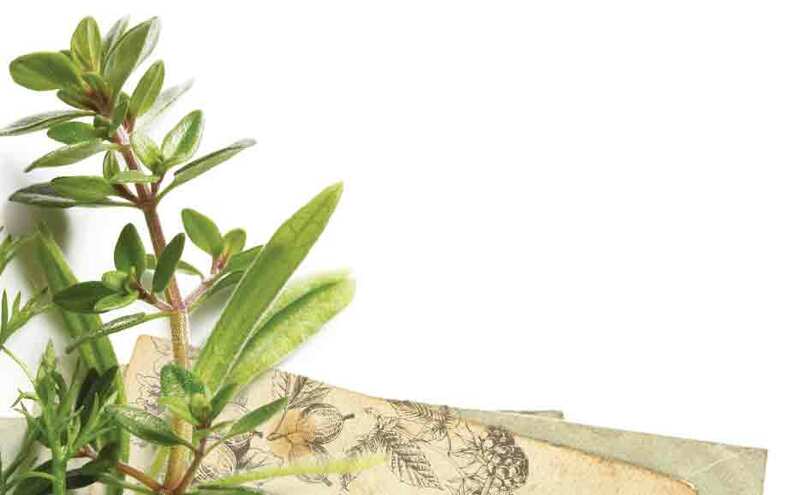 For more than 30 years, Melaleuca has developed unique wellness solutions using nature’s finest ingredients. Today, essential oils—and all of their benefits—can be found in more than 50 different Melaleuca products. The company was named after the essential oil of the Melaleuca alternifolia plant. We have set the global standard for this precious oil. 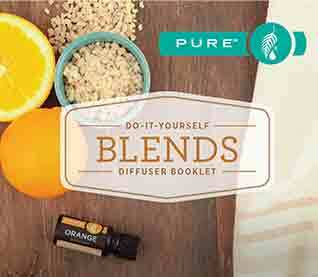 Now we have extended our expertise to an entire line of pure essential oils. 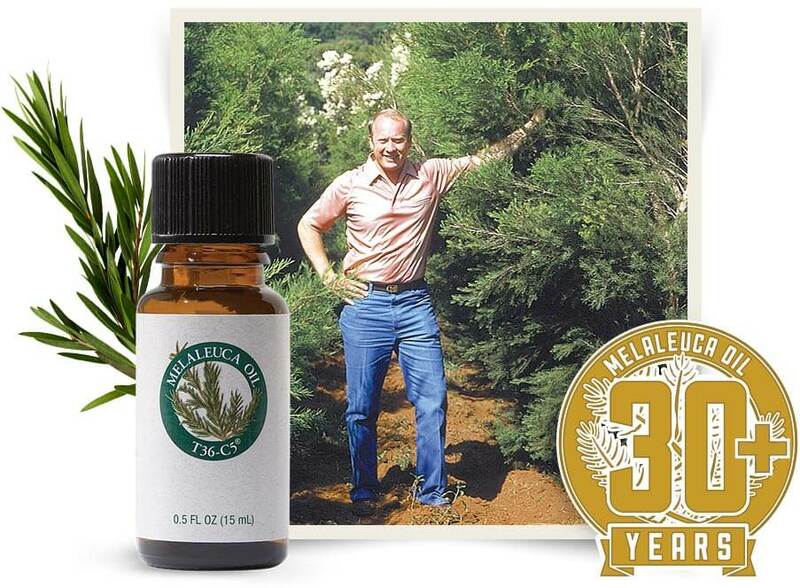 In 1985, Melaleuca founder and CEO Frank L. VanderSloot traveled to Australia to secure a supply of high quality Melaleuca Oil. 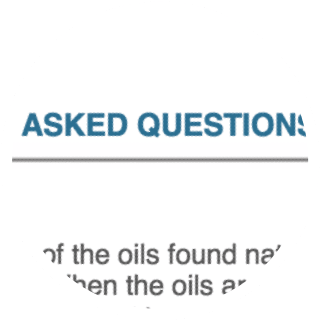 Only a few carefully selected locations can grow oil meeting the quality and purity of T36-C5® and T40-C3® Melaleuca Oil. 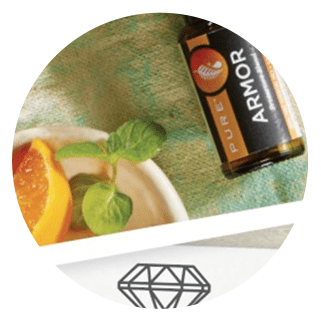 Melaleuca Oil is a trusted source of relief for everyday first aid needs thanks to its naturally antiseptic, soothing, safely penetrating, non-caustic, effectively solvent, and pleasantly aromatic properties. 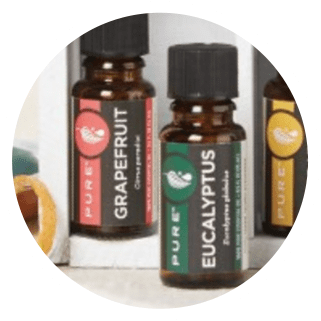 Essential oils are simply a concentrated form of oils found naturally in the roots, bark, stems, leaves, seeds, fruit peels, and other parts of plants. 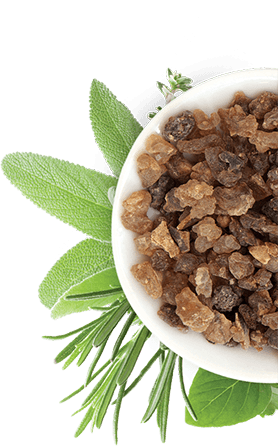 When the oils are extracted and concentrated, they maintain the characteristic fragrance, or essence, of that plant. 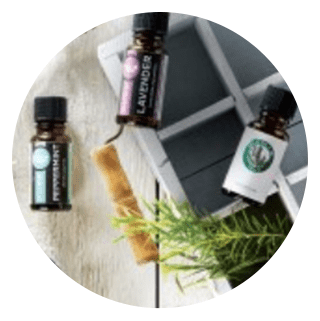 Essential oils have been used for thousands of years by cultures all over the world for their pleasant and sometimes powerful fragrances and healthful properties. Hover on each circle to find more information. Only plants grown in ideal farming environments yield the quality of oil that both meets Melaleuca’s exacting purity standards and produces the sweetest, most pleasant scents for aromatic excellence. PURE Essential Oils are sourced from plants grown in these unique environments. We caution against ingestion because we believe in being responsible and sensible, and adhering to all industry safety guidelines. Melaleuca does not advise against the ingestion of PURE Essential Oils because of a quality issue—PURE meets or exceeds every recognized standard of quality. 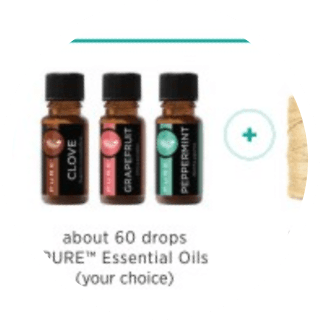 Essential oils are highly concentrated and contain a variety of powerful natural constituents that, when used improperly, can lead to injury and long-term negative health effects. 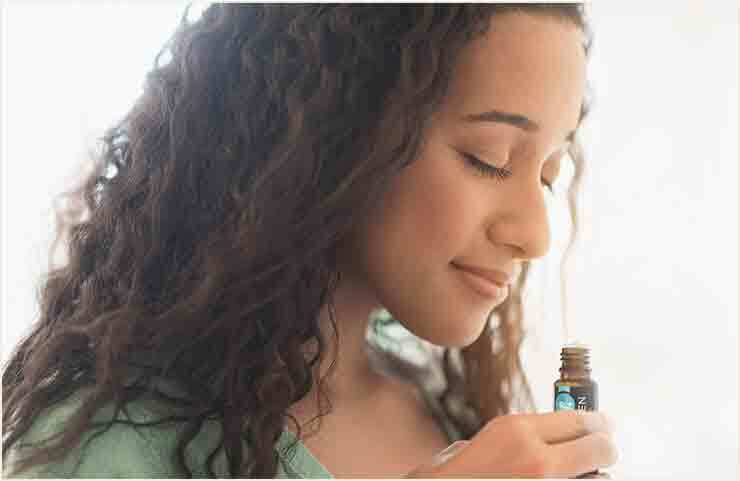 That is why both professional aromatherapy organizations and independent experts warn that the internal use of essential oils should only be administered under the supervision of a health care practitioner. Melaleuca strongly encourages customers to heed this commonsense caution. Remember, ingestion recommendations do not reflect quality. 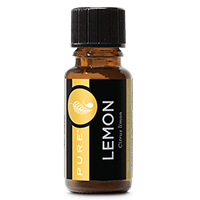 In fact, higher quality oils can be even more potent and require dilution before external use. Melaleuca offers a full range of pure essential oils, at a level of quality and purity that is second to none. 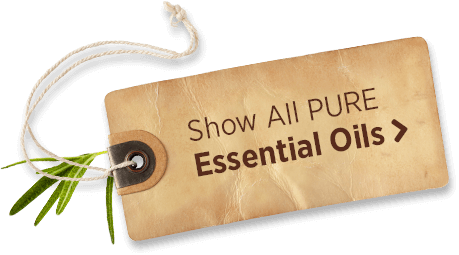 Show all essential oils. GC-MS TESTING: (Gas Chromatography–Mass Spectrometry) Checks the purity and potency of the oil against thousands of compounds. CHIRALITY TESTING: Ensures no synthetic elements are present. Heavy Metal/Pesticide/Herbicide Testing: Makes sure all PURE Essential Oils are free of heavy metals, pesticides, and herbicides. 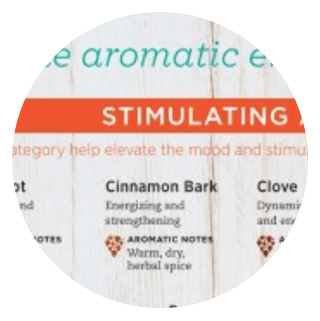 ORGANOLEPTIC TESTING: Expert distillers evaluate the smell, color, and consistency of each oil before any other tests are conducted. OPTICAL ROTATION: Measures the molecular structure of the oil to confirm there are no synthetic compounds. REFRACTIVE INDEX TESTING: Measures the density of the oil using a concentrated beam of light. This verifies the potency of the oil. SPECIFIC GRAVITY TESTING: Measures how heavy (dense) the oil is compared to water. MICROBIAL TESTING: Makes sure oils contain no traces of microorganisms such as fungi, bacteria, pathogens, or mold. FLASH POINT TESTING: Measures the combustible “flash” temperature of the essential oil. ISOTOPIC ANALYSIS: Breaks oils down to the atomic level to find out which isotopes are present in an essential oil and at what amounts—this is another way to triple-check the potency and quality of the oil. 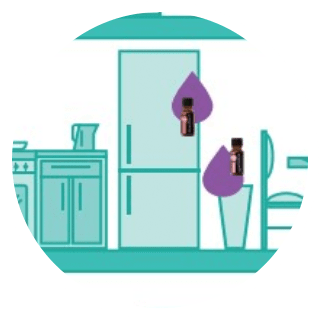 Without a central certification body, we turn to the International Organization for Standardization (ISO) and Association Française de Normalisation (AFNOR) for reputable quality specifications available for many essential oils. 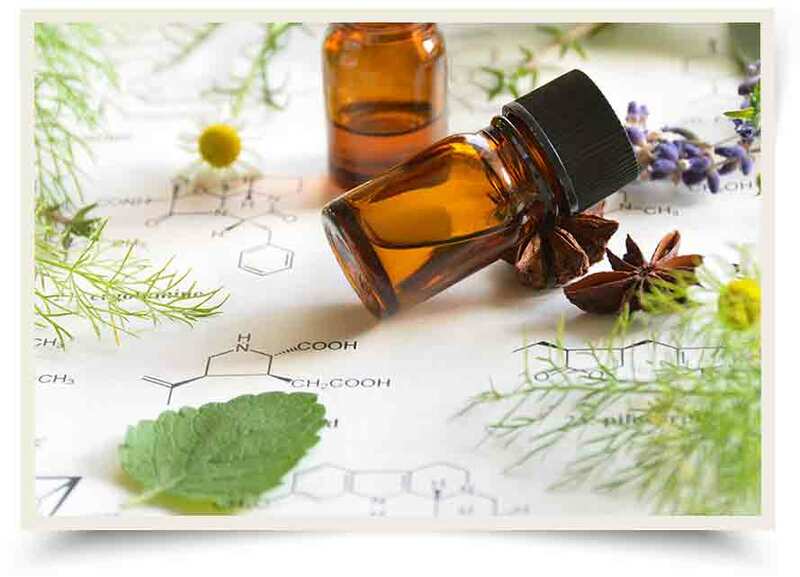 When an ISO or AFNOR standard is not available, we compare our oils to historical testing data from essential oils experts to ensure PURE Essential Oils are always the highest purity and quality oils available. 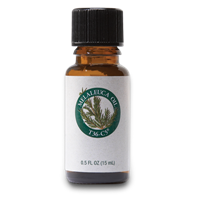 * Melaleuca U.S. Preferred Member Price vs. Competitor Wholesale Price from www.doterra.com and www.youngliving.com, as of November 1, 2018. Product names are trademarks or registered trademarks of their respective companies. 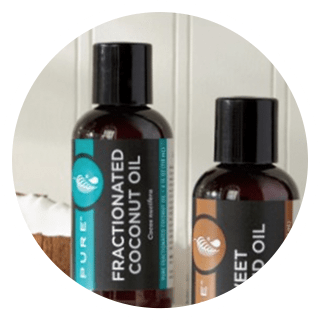 Copyright © 2019 Melaleuca, Inc. All Rights Reserved.